Do you find yourself searching for answers before you move into action? Are you trying to get the perfect plan before you start? I'll admit that I'm a really good action taker, but this trips me up too! It is important to get support, to learn skills and techniques, to have a plan… but sometimes you just have to Make Your Own Magic! If you are stuck… and need to move forward with a launch or a project, or even a phone call, today's #motivationmonday is going to knock your socks off and kick your booty. 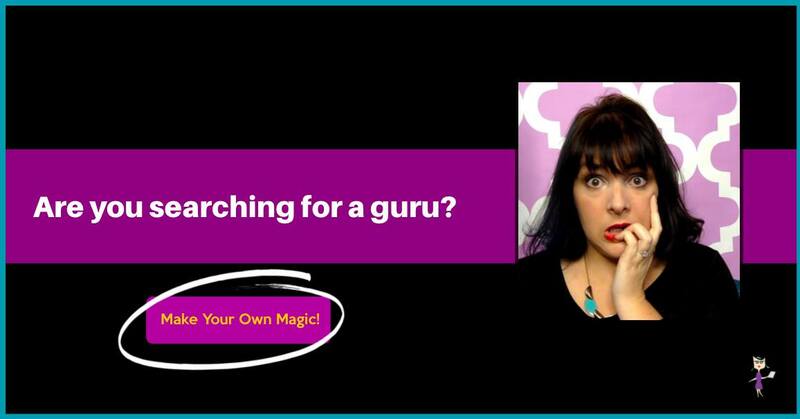 3 Ways You can Make Your Own Magic! That’s it. My coach didnt’ help me!!! Molly, I keep trying to see the live video but I am getting a message that reads: Something Went Wrong – Sorry, we’re having trouble playing this video. Did you find it? We could see it! 🙁 I’ll have to watch the recorded show. Seth, I have that problem from time to time. It’s a browser error. Are you using safari? That’s where it happens the most. If you open from a google chrome browser, you should never get that error. I haven’t. I’m actually on a Chromebook using Chrome and this was the first time I’ve seen this but good to know. Maybe I needed to refresh my page. Oh Yes I do know what youre talking about!! I”m ready to make my own Magic!